"Now's the time for us to implement this." That’s just a sample of what Ohio Congressman Tim Ryan has to say about mindfulness in this new book trailer for his forthcoming book A Mindful Nation. (We’ve included a transcription, below, as well.) Ryan also talks about his own experience with mindfulness and how the practice has the potential of making a tremendous difference for our society. “Growing up I spent about 12 years in Catholic school—Our Lady of Mount Carmel grade school, and John F. Kennedy Catholic High School—and I remember on numerous occasions being told by the nuns and the brothers and the teachers to pay attention. No one ever taught us how to pay attention, and one of the things that I really like about the practice of mindfulness, and moving this into the field of education—teaching our teachers about mindfulness and social and emotional learning, teaching our students how to practice mindfulness—is you’re actually giving them a technique, and a skill set, on how to mobilize their attention, and place it on a problem that they’re dealing with in their classroom. “Or to listen to their teachers. And mindfulness teaches these kids how to pay attention. It teaches them how they are connected to other people, and how to be kind to other people, and to see the problems that other people may be dealing with, and then understand that in a more compassionate way. 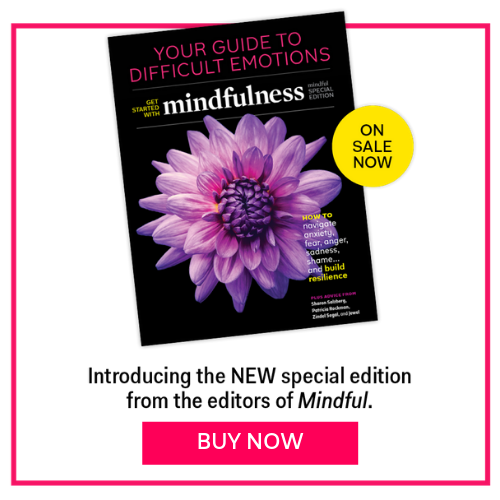 “Mindfulness can be a great opportunity for us as a country, for all of us to develop this skill in some way, improve our performance… but there’s some fundamental things that are essential to that, and it’s the ability to concentrate, to relax, to be aware, and to cultivate and develop these skills; they’re going to improve your performance, regardless of what you are trying to do. And mindfulness, in my estimation, doing a lot of work in Congress, and travelling a lot, and playing sports, and all of these things… there’s something fundamental underneath all of those activities, and paying attention, and being aware, and having a reduced stress level, helps in all of those situations. And I think this is going to have transformational effects on our education system. “I don’t care how much money we spend on education, it doesn’t matter what programs we’re trying to teach our kids… if they don’t have the fundamental building block of learning, which is being able to control your attention span, all the rest is not going to be effective. And mindfulness teaches these kids how to pay attention. It teaches them how they are connected to other people, and how to be kind to other people, and to see the problems that other people may be dealing with, and then understand that in a more compassionate way. “And the news that we watch on TV is feeding us a lot of negative information, and a lot of fear, and a lot of things that just ramp up our stress level. We’re not sleeping at night. Most people aren’t getting a good night’s sleep. Most people are dealing with this high level of stress in ways that maybe aren’t the healthiest. Mindfulness is a way for us to reduce our stress level in a way, by just taking a few minutes a couple of times a day, or once a day, or one minute once a day, or just anytime where you can just stop and slow down… you are contributing to your own health. And if we can build a healthcare system where people are participating in their own healthcare by helping reduce their own stress levels –- [which] lead to heart disease, and a variety of other ailments that we’re trying to deal with as a country, that get very, very expensive to deal with… Mindfulness is about us teaching others this technique to reduce their own stress levels, take ownership of their own health, help us reduce overall costs for healthcare expenditures, and improve the quality of their own life. “You know, some people wonder if the promotion of mindfulness by a member of the United States Congress is somehow a political risk, but we need to stop and think about what we’re talking about here. We’re asking people to slow down a little bit; most people want to find a way to do that. We’re asking people not to get too caught up in the past or the future and be where they are, whether they’re with their kids, or their grandparents, or the work that they’re doing. Most people are okay with that. We’re asking people to learn how to pay attention. We want to teach our kids how to develop their attention span. I think that’s something that everybody in the country wants. “We’re asking people to recognize situations that their friends and neighbours and fellow citizens are in, and be understanding of that, and be compassionate of that. Mindfulness cultivates all of these qualities. “And once I had the personal experience myself at an extended five-day silent retreat, and you practice and meet people who are implementing mindfulness programs in the military, in our education system, in our healthcare system, for our veterans, for our family caregivers. And seeing these programs have a profound effect on people who are working in very high levels of stress burnout in their jobs – if they’re nurses, or firefighters, or police officers—and [that] this is able to reduce their stress, and improve their performance. When I saw all this, and had a personal experience myself, I felt like I would be derelict in my duty as a United States Congressman if I didn’t try to push this stuff out into society.